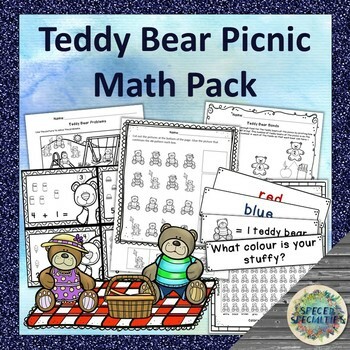 This package of differentiated, numeracy-based activities is perfect for a Teddy Bear Picnic, PJ & Stuffy Day, spring-time activities, class picnics, and more! Math activities in this pack include graphing, patterning, number bonds, addition/subtraction, and word problems...fun and engaging to use in special education & regular classrooms, with preschoolers and early learners, as math centers, and more. 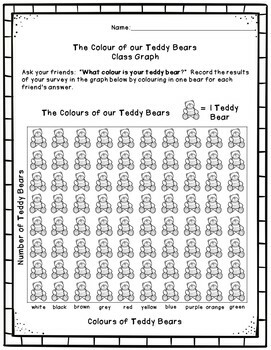 -patterning cut/paste activity - Three levels of patterning are included (each with 5 cut/paste pages) for easy differentiation: AB, ABB, & ABC. 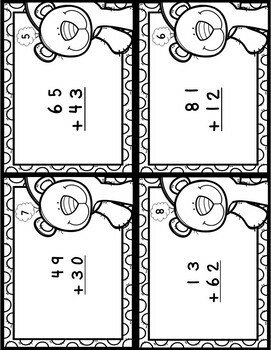 -addition & subtraction task cards - Four levels (each with 20 cards) are included for easy differentiation: basic addition & subtraction with picture supports, basic addition & subtraction without pictures, 2-digit addition & subtraction without regrouping, and 2-digit addition & subtraction with regrouping; also includes student recording sheet. 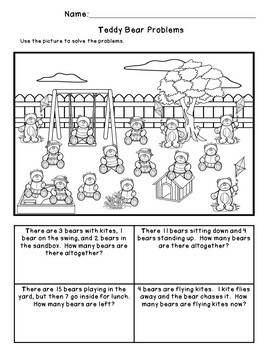 -teddy bear math bonds – Three levels of bonds (each with 2 pages) are included for easy differentiation: bonds to 10, 10-20, and 20-30. -addition & subtraction word problems - Two levels of problems (each with 2 pages) are included for easy differentiation: problems up to 10, and problems up to 20. More great Teddy Bear Picnic products will be uploaded soon! Follow me to be the first to hear when they are!